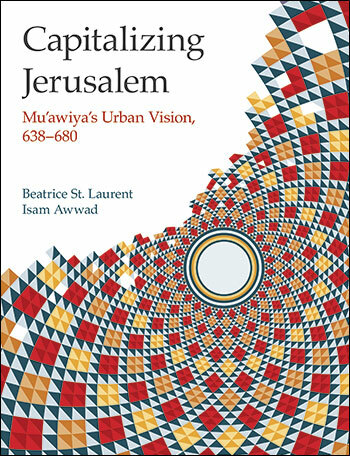 Capitalizing Jerusalem addresses a major lacuna in the monumental history of Early Islamic Jerusalem during the period of Mu’awiyah—the first Sufyanid Umayyad caliph (660-680)—who was in the region since the conquest in 637. This period has largely been ignored due to a perceived lack of surviving significant historical and archaeological documentary evidence from the Umayyad period. As a result, the history of Jerusalem relied on Abbasid and later evidence projecting backward to the Marwanid Umayyad period of ‘Abd al-Malik. This version of history was tainted by political bias against the Umayyads and focused on eradicating the memory of Mu’awiya. This volume looks at new archaeological and textual evidence and interpretations to shed light on this period. Mu’awiya’s political and monumental achievements in the regions of the Early Islamic Conquest testify to strong political agency in the region of Bilad al-Sham, economic success and the means and will to develop the region monumentally. His exercise of political control over and ownership and development of agricultural estates in his homeland region and supporting monument development in his ancestral land of Arabia, demonstrate the imperial power of the new Umayyad dynasty and set the stage for his development of Jerusalem as an imperial capital of the Sufyanids in the Early Ismaic Empire. In Jerusalem, where he was invested as Amir al-Mu’minin or Commander of the Faithful or Believers in his mosque in 660/661, his monumental development included rebuilding the walls that supported the destroyed Herodian platform, establishing the limits of Islamic Bayt al-Maqdis on the footprint of the Temple Mount; construction and re-construction of the gates of entry to the sacred precinct; building his mosque in the southeast corner, planning and building the Dome of the Rock and the platform on which it sits; and at least initiating construction of the administrative district south of the precinct; and establishing new neighborhoods in that same area for Muslims and returning Jews from Tiberias to the city. His monumental construction in Jerusalem references the monumental language of the former Byzantine Palaestina Prima (capital at Caesarea) and Palaestina Secunda and its capital at Scythopolis, Persian Sasanian controlled areas of Iraq and Iran, and of and pre-Islamic central region of Mecca and Medina in Arabia and further south in Sabeo- Himyaritic Yemen. The result was a magnificent blending of cultural, political and religious traditions as can still be seen today in the Early Islamic monuments of Jerusalem.